Mutually beneficial exchanges in markets can be exploitative because one party takes advantage of an underlying injustice. For instance, employers of sweatshop workers are often accused of exploiting the desperate conditions of their employees, although the latter accept the terms of their employment voluntarily. A weakness of this account of exploitation is its tendency for over-inclusiveness. Certainly, given the prevalence of global and domestic socioeconomic inequalities, not all exchanges that take place against background injustices should be considered exploitative. 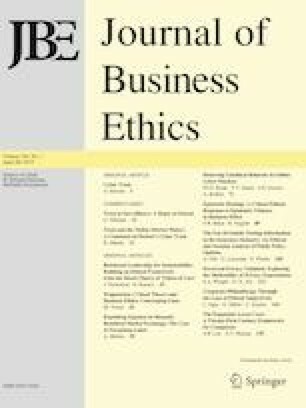 This paper offers a framework to identify exploitation in mutually beneficial exchange, focusing on the case of sweatshop labor. It argues that an employer can be viewed as taking unfair advantage of an underlying injustice if and only if the employer’s surplus from the exchange in the unjust state of affairs exceeds the surplus it could maximally obtain in a just state of affairs. The paper illustrates the applicability of this framework using three different conceptions of justice and argues that it is superior to microlevel accounts of exploitation that regard background justice as irrelevant. The paper concludes by describing some normative implications that follow from judging an exchange exploitative. I thank the editor, two anonymous referees and Jeanine Miklós-Thal for helpful comments on a prior draft of this paper.